How can I have a modern interior that is comfortable? Somewhere along the way modern design received a bad rap. Many consumers associate modern with beautiful design, but think they have to go traditional in order to be comfortable. This cannot be further from the truth. Comfort comes in all sorts of shapes, sizes and styles. Comfort is also very personal, and everyone has a different definition. Down has been the go to for comfort for years now since it melts around your body. Although down can settle and lose it’s shape easily, some manufacturers, such as Della Robbia, have found a way around this by chambering their back cushions. If low maintenance and no fluffing is your preference there are still other options that can provide clean lines and high comfort. Trillium is a new down alternative that only a few companies have embraced so far. But companies like Thayer Coggin are offering this option to provide a similar comfort as down, but with much less maintenance. Trillium molds and forms to your shape the same as down, but retain their support and shape. After lounging all day, your cushions will still bounce back. 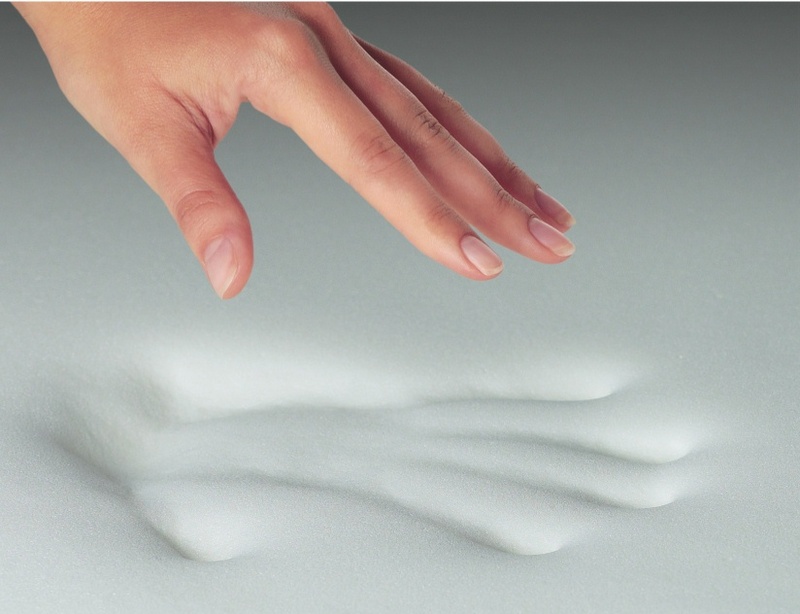 Memory foam is another option furniture manufactures have embraced. 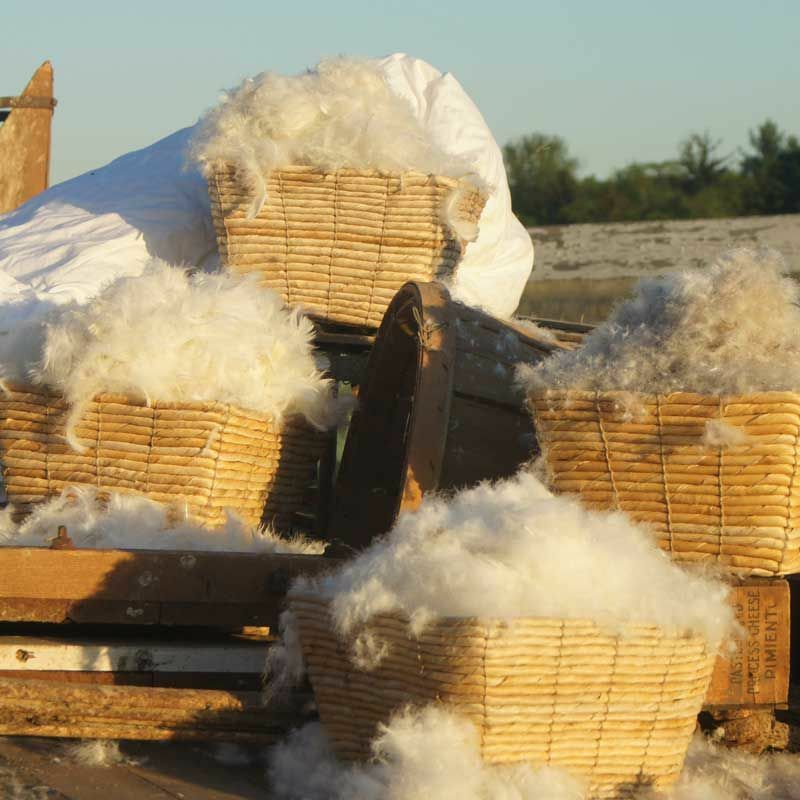 Just think, the same comfort as your memory foam mattress, but now your seat gets to enjoy the luxury. Another myth is that low, modern furniture isn’t as comfortable. In general modern furniture has a low profile. People seem to relate this to a less comfortable sit, but they are not taking the seat depth into consideration. Traditional furniture can often have thicker back frames and cushions. This depth takes up precious seating space. A modern sofa can have a thinner back frame and seat cushions, but a lower seat height. What you get is a sofa you can rest back in, and still have your knees supported by the edge of the cushion. 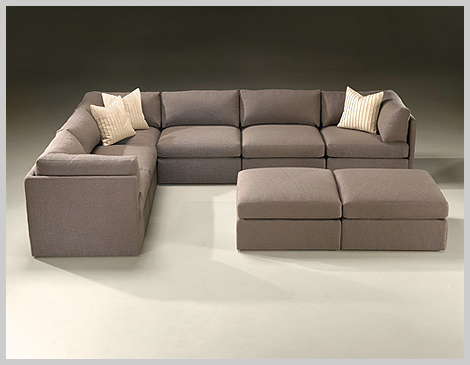 The Hugo sectional has a headrest that raises and lowers, lumbar support, and a low, modern profile. And one of the most important, but not often mentioned part of comfort that modern furniture can provide is your aesthetic. Coming home from a stressful day to a home that you love and enjoy will help you relax. Whereas coming home to a house you have settled for, or don’t particularly enjoy will never really bring you to that level of pure comfort.